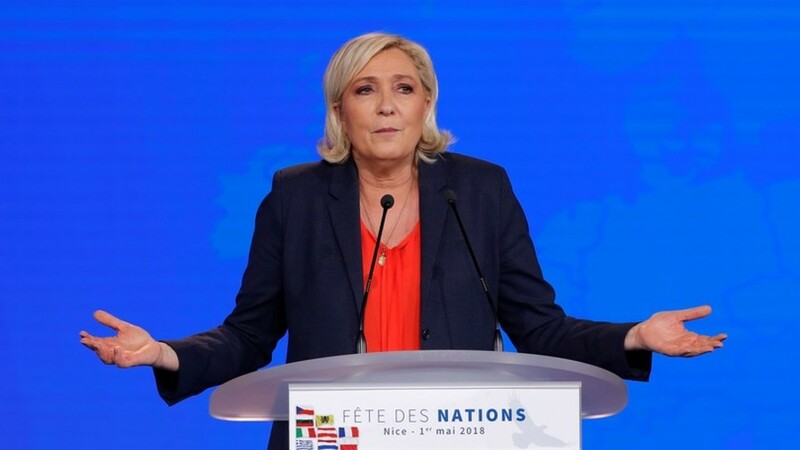 French judges blocked €2 million of subsidies to Marine Le Pen’s National Rally (NR) party over an ongoing probe into alleged misuse of EU funds. In France, political parties are entitled to state funding, which is tied to how well a party fared in the elections. NR (previously known as National Front) was eligible to get €4.5 million. According to Le Pen, the funding dragged six months behind schedule, and it was barred altogether days before the first batch of €2 million that was due to arrive shortly. The move was made by the French judiciary on Sunday, investigating an alleged misuse of EU funds by Marine Le Pen's right-wing party. The probe has been dragging for some three years already, but it still has not yielded any tangible findings. Le Pen is accused of fictitiously employing her staff as her aides at the European Parliament while they actually did no real work for the EU. The estimated damage of the alleged activities amounts to some €5 million, according to the EU Parliament. Le Pen condemned the move as an attack on democracy since withholding the funding would likely see her party become defunct. According to the NR’s spokesman, Sebastien Chenu, the party won’t be able to pay staff and fulfill various “financial obligations” staring around July 15. The desire to assassinate the no. 1 opposition party is an unprecedented blow to democracy!” Le Pen tweeted. The politician also issued an open letter, condemning the judiciary ruling as not only an attempt to demolish her party, but also as a blow to democracy and the French Constitution altogether. “Today in France opposition parties are no longer just ignored in parliamentary bodies or soon to be deprived of the right of amendment, not only harassed by, for example, unjustified banking bans or judicial persecutions, but today put to death by blunt legal devices,” the open letter reads. In November, Le Pen accused two banks, Societe Generale and its subsidiary, Credit du Nord, of issuing a “banking fatwa” against her by closing her and her party’s accounts. The banks, however, stated they acted within “regulatory requirements” without giving any further details. Le Pen urged her supporters to “resist” the judiciary ruling in a civil and peaceful, yet, somehow, “militant” way. “Faced with this infamy, I call on the French people for a peaceful and civil resistance, but a resistance that is active and militant,” Le Pen said in the letter. Apart from the call to oppose the ruling through mass protests, the National Rally launched a fundraising website for those who would like to support it financially.